Like the Galaxy Camera and Galaxy S4 Zoom before it, Samsung is continuing to push the idea of a truly connected camera forward with the Galaxy NX. But like its smaller siblings before it, there are still areas where the reality doesn't quite match up to the concept. 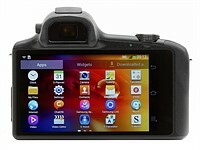 As Wi-Fi increasingly becomes a a standard feature even on low-end cameras, and connected cards like the Eye-Fi Mobi make it simple to send photos to a smartphone or tablet, the Galaxy NX stands for its vast selection of connectivity types available paired with an APS-C sensor and interchangeable lens system. That said, consumers will pay for such connectivity and will have to ask themselves if 3G/4G LTE is worth the cost of another carrier fee for a connected SIM card. 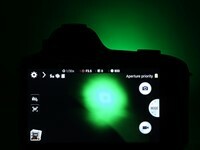 Similarly, the Galaxy NX camera may be the first of its kind to shoot Raw — a welcome addition — though the large files that come along with this format seem to conflict with the kind of connected shooting and social sharing that the NX also enables. The smartphone-sized screen is also not the best surface for substantial post-production work that Raw enables. 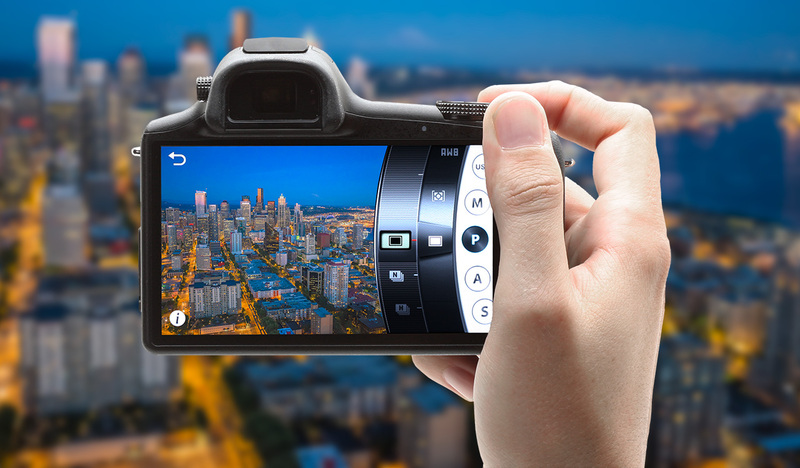 When it comes to UI, we're seeing big changes industrywide as more camera makers add touchscreens and adapt functions and workflows meant for more modern shooting. But the Galaxy NX fails to provide any meaningful advances: it offers a few extra widgets and settings than its smartphone equivalent, but serious photographers will almost certainly be disappointed with the rather slow and not particularly customizable UI. Making the touchscreen the primary interface is a bold move, but the software doesn't live up to the opportunity — yet. So where does the Galaxy NX fit in? There are a few situations in which it might be really nice to have. Travelers who don't want to carry more than one device will appreciate the ability to keep in touch via email or chat, post pictures of where they are directly to Facebook without the need for a laptop or even a cafe's Wi-Fi — and those pictures are going to be significantly better than what they would have taken on their camera phone or point-and-shoot. Likewise, a highly connected and social-network-loving photographer may really enjoy something like this. Imagine a wedding reception or some other party where decent-looking shots from 30 seconds ago are already up on the event's Tumblr page. Similarly, setting up a photo booth and other remote shots would be a breeze — no accessories or setup needed, just open the app and hand it to whoever wants to be in control (that is, if you can get the app to work). But for day-to-day photography, the Galaxy NX doesn't improve on the camera experience or the smartphone experience. Ultimately, it's less than the sum of its parts. But it's also a more logical and successful product than the devices that came before it in this line, so it's possible that after a few more refinements, the Galaxy series could produce the first connected camera/phone hybrid that's actually worth owning. For now though, there are dozens of better ways in the camera world to dispose of $1,600. There are 19 images in our Samsung Galaxy NX samples gallery. 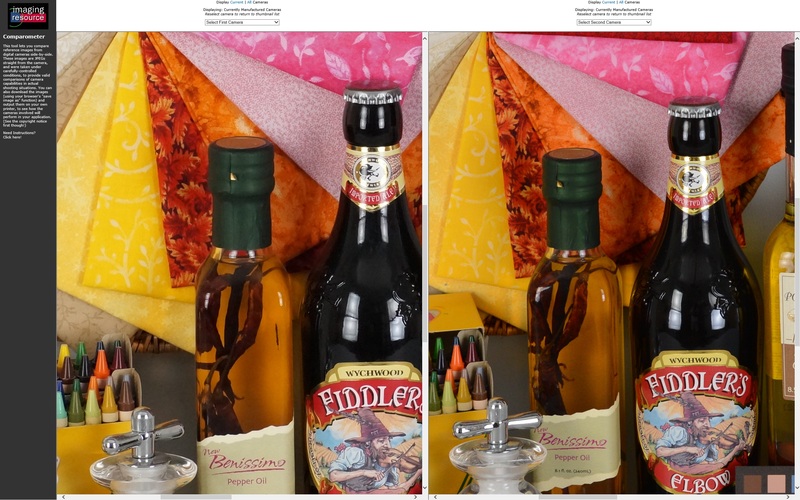 Please do not reproduce any of these images on a website or any newsletter/magazine without prior permission (see our copyright page). We make the originals available for private users to download to their own machines for personal examination or printing (in conjunction with this review), we do so in good faith, please don't abuse it.